A frequent traveler books a hotel room at the last minute. A few clicks on a smart device, an option is found, bonus points are applied, and the reservation confirmed. Upon arrival, the guest checks in via a mobile app, bypassing the long line at the registration desk; the same app unlocks the door. Inside the room, a beverage of choice is chilling, the heat is set to just the right temperature and the television is tuned to a preferred station. While the hospitality industry aspires to deliver this level of seamless, convenient and personalized service, most players have a long way to go. That said, the stakes surrounding service quality couldn’t be higher. In a brutally competitive environment, one bad experience can translate into a lost customer. A website or online booking platform that’s slow, confusing, or that steers a visitor in circles can easily be abandoned for an alternative. And if that alternative is faster, easier to navigate and more engaging, the invidious comparison will make a lasting impression. Most hospitality enterprises today are in a “walk before you run” mode; specifically, before thinking about platinum-level, individualized service across the hotel value chain, they need to focus on the operational basics of reliability, consistency and integration. These foundational elements are essential to maintaining service quality levels needed to compete today, as well as enabling the innovative features that will increasingly characterize the hotel experience of the future. Today, most hospitality enterprises struggle to meet even these basic standards. Too often, the guest experience is compromised by disconnected systems and platforms and discrete and isolated technology towers. As a result, accounts and loyalty points are often difficult to access when needed by the customer. In other instances, application changes, upgrades and modifications can cause unanticipated downstream service issues such as account lock-outs. Hotel websites can be unresponsive and confusing to navigate, or fail to access available offers or rates. To a considerable extent, these problems reflect inefficient infrastructure and application practices that drive high volumes of incidents, forcing management to engage in firefighting and precluding a focus on strategic enablement. In addition, the yoke of legacy systems prevents visibility across the enterprise and contributes to the proliferation of isolated islands of operations. And, slow adoption of cloud and other digital technologies yields limited benefits in terms of flexibility and agility. A “zero defect” approach to service management. A model that leverages cloud-based platforms and outcome-based contract structures to treat any service issue as a fundamental defect to be rooted out and eliminated rather than an incident to be efficiently resolved. Open platforms and optimized processes. A focus on interoperability, connectivity and integration between back office data and customer-facing applications, and between legacy platforms and digital systems. Intelligent automation to drive continuous improvement. Application of smart tools to design, implement and manage an operating model that eliminates ad hoc and manual-intensive processes, outdated technology platforms and misaligned skill sets. The management of guest reservation data illustrates the importance of data integration and connectivity to a hospitality organization’s ability to compete in today’s market. For hospitality organizations, Online Travel Agencies (OTAs) represent a significant threat – they typically offer a smoother experience, lower prices and easier access to loyalty points. Moreover, by taking ownership of the booking process, OTAs intrude on an important guest interaction, thereby costing hotels an opportunity to reinforce a brand connection. Growing OTA commissions also erode hotel profit margins, and on average represent a hotel’s second-largest rooms expense behind labor costs. The hospitality industry has responded to the OTA challenge by investing in their direct booking systems and applications to enable a more seamless customer experience and greater responsiveness to customer feedback. In addition, improved data integration has narrowed the rate discrepancy gap with OTAs and has helped to support multi-channel marketing campaigns that leverage social media and search engine optimization to boost visibility. However, while hotel chains have achieved technological parity with OTAs, they now confront the obstacle of changing the entrenched behavior of guests who’ve grown accustomed to using OTAs. Winning these customers back will require offering a truly personalized experience based on granular insight into an individual’s preferences, loyalty accounts, profile and history. If a smooth and consistent reservation transaction is the table stakes of hospitality operations, a truly connected and tailored experience is the aspirational goal. Achieving that goal requires taking operational, data integration, analytical and intelligent automation capabilities to the next level. These capabilities are essential, for example, to enable Internet of Things (IoT) and smart device initiatives that leverage detailed data on facility operations, energy consumption and guest activity to improve hotel security and safety. More specifically, connectivity and interoperability are imperative to building the networks of intelligent assets needed to fulfill the IoT’s potential. Delivering a uniquely tailored guest experience, meanwhile, requires the ability to glean nuggets of insight from analyses of data on loyalty program points, account history and activity from previous stays. Organizations that get it right can, for example, deliver perfectly timed offers to visit favorite cities, packages for spouses and kids and promotions aimed at birthdays and anniversaries. Hospitality organizations committed to enhancing the guest experience are stepping up their investments in tools and platforms to collect and analyze guest data. While collecting data is relatively easy, the hard part is capturing the right data (or knowing what data to look for) and then acting on that data in a way that delivers a difference-making experience to the guest. The fallback strategy is to collect as much data as possible to avoid missing a potentially critical insight; this, however, creates a risk of becoming overwhelmed by volumes of seemingly random data points. Focus on integration and consistency. Creating a connected guest experience starts with the basics: a unified Property Management Office characterized by data and platform integration and seamless connectivity to booking systems, loyalty programs and guest accounts. Customer-facing applications must deliver a consistent look and feel, whether delivered via desktops or mobile devices. Bolster Agile development capabilities: The dynamic nature of the hospitality industry demands ongoing innovation, a high degree of functionality and cost efficiency. Application Development and Maintenance activities are typically characterized by constant updates, addition of new features, testing and fixes. By focusing on communication, deployment of micro-services and collaboration between business and developer teams, Agile methodologies can address these time-urgent requirements while maintaining a high level of productivity and quality. Explore Intelligent Automation Tools: The capabilities of emerging intelligent automation tools can help hospitality organizations address the data analytics challenge. Specifically, pattern recognition applications can scan massive volumes of unstructured data to identify cause/effect linkages and enable a focus on relevant and actionable data points that can translate into an enhanced guest experience. Prepare for 5G Availability: The impending roll-out of 5G network capacity will be a game-changer for the hospitality industry, producing a leapfrog effect in the ability to deliver an immersive guest experience. The next-generation capacity of 5G will create new opportunities to leverage augmented and virtual reality and other technologies. In response, hospitality organizations should be proactive and aggressive in their application development strategies, and recognize that today’s bandwidth constraints will be rendered moot by 5G. 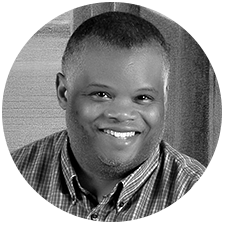 Maurice Walker is a Director of Strategic Accounts at Softtek, specializing in managing practice and service delivery teams to ensure client satisfaction and engagement success. His areas of expertise include DevOps solutions, responsive and mobile technologies, ERP development and support, business intelligence, data warehousing and project and program management.